The Best Gym in Brampton! 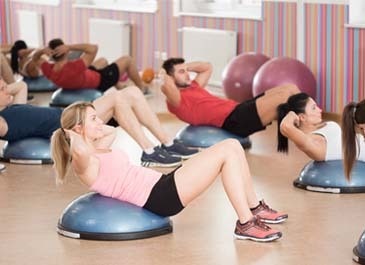 Our Brampton gym offers dozens of group exercise classes each week for you to choose from. Select what you'll enjoy and get ready to meet your goals! 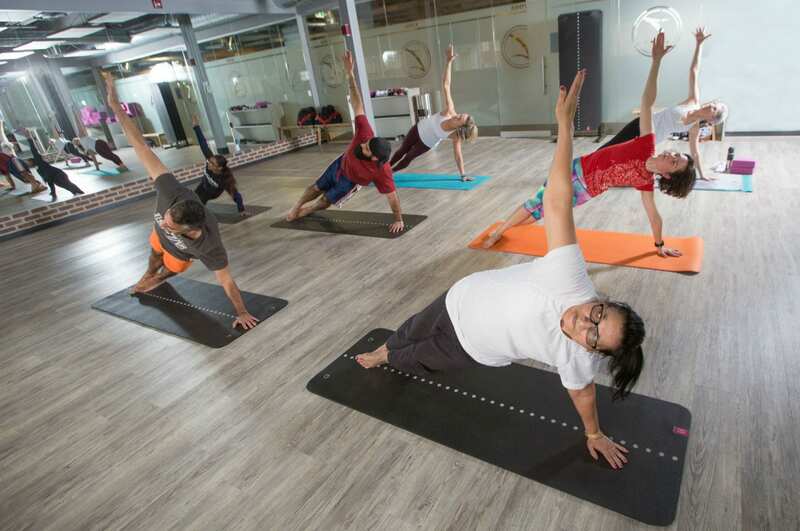 From cycling, Zumba, HIIT, and boot camp -- to yin, restorative, and hot yoga -- our classes range from high intensity to low impact -- and everything in between! Power up at our Brampton fitness center with strength training equipment like free weights; flat, incline and decline benches; squat racks; power lifting racks; and plate loaded and selectorized machines with rep counters and timers. Our Brampton health club has considered everything, and that's why we provide a private area, set aside from the main floors, just for the ladies. Women can workout comfortably and privately in the women's only area, which features cardio, strength, and functional training equipment. 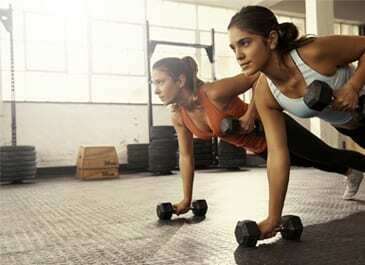 For a customized fitness experience at our health club in Brampton, try personal training. Our certified professionals work with you to identify achievable goals -- and then make them happen! We also employ the 3D Styku body scan for measurements and body analysis in just seconds. Enjoy aerobics? Take a spin on the cardio equipment at our gym in Brampton! Select from our fleet of treadmills, ellipticals, rowers, bikes, and stairsteppers to get your heart pumping for increased calorie burn and improved endurance. Yoga is a workout that is both calming and strengthening. 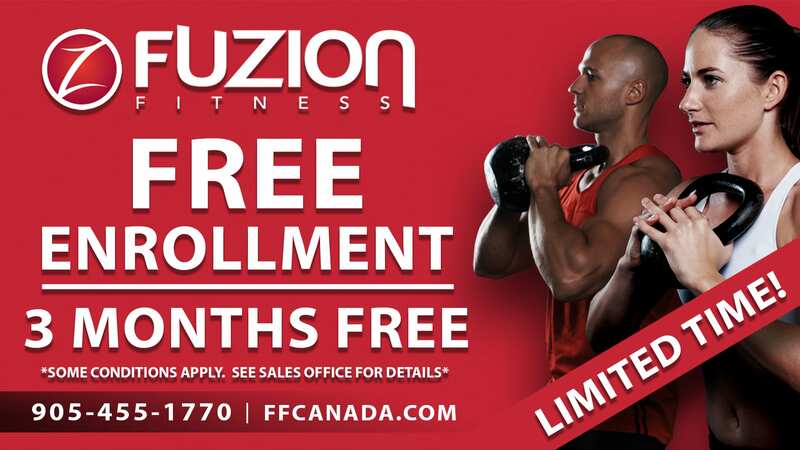 Certified instructors at Fuzion Fitness Brampton lead classes through stretches and poses that focus on breathing and body awareness. Every age and fitness level can enjoy better balance and strength -- both inside and out! Your fitness is our priority, and we make it our mission to help members succeed. When you enter our Brampton gym, you’ve found a fitness home where we value your health and wellness — and we offer programs for every member of the family! 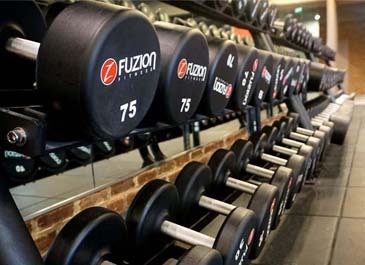 Fuzion Fitness Brampton features 60+ group exercise classes held in 3 distinct fitness studios, rows of cardio and strength equipment. With personal training, Styku 3D body scanning, functional training, and more, our team will take your fitness to the next level. We don’t want to forget our amazing amenities! Our gym features a private ladies only area, clean and comfortable change rooms, onsite childcare, and a juice bar too. 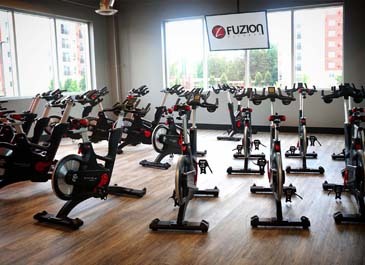 Welcome to the Fuzion Fitness Family! Take the next step. Stop by and give us a try. You’ll see why we’re the best gym in Brampton!